Freedom Millwork delivers products and services to homebuilders, remodelers and commercial contractors with the kind of old fashioned values that builds customers for life. Our team of experienced professionals brings a consultative approach to everey project regardless of size or scope. We understand that you're seeking more than custom cabintery, kitchens, windows, doors, molding or hardware- You are buying trusted advice and timely service from a partner fully invested in making your projects succeed. We take joy in designing distinctive kitchens, baths, and additions that are both beautiful and functional for our clients. 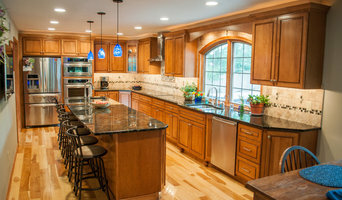 At HomeTech Renovations Inc., we will help you to create a new space or remodel a current one. 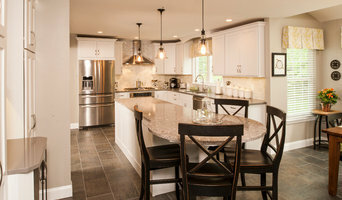 Located in Pennsylvania’s oldest, free schoolhouse in historic Fort Washington, HomeTech Renovations Inc., proudly serves Philadelphia and the surrounding region, including Bucks County and Montgomery County, PA. Our work shows that all bath and kitchen designs can be authentically individualized and soulful. If you take a look through our portfolio you can view our previously executed bath and kitchen designs along with other renovation projects. Clear communication, reliable timelines, and flexibility are integral components of what we strive to accomplish. We value process and structure when composing a design with our clients. This method helps take the stress off the client and educates them as well through the entire kitchen design, bath remodel, or addition process. If you have a project you would like to get started, feel free to contact us for a no cost consultation or visit our website to schedule an appointment at the link below. <a rel="nofollow" target="_blank" href="http://www.htrenovations.com/contact_hometech_renovations.htm">http://www.htrenovations.com/contact_hometech_renovations.htm</a> HomeTech Renovations: Kitchen Design - Bathroom Remodeling. Affordable Remodeling Solutions for Kitchens, Bathrooms, Additions. Serving Bucks, Montgomery, Philadelphia County PA. I am driven by the experience that good listening leads to good design. You tell your personal story by the way you furnish home, especially your kitchen and bath. And it's my job to learn about your functional needs, aesthetic aspirations and resources. This, and more than 20 years' experience in all aspects of design, a superb sourcing and research ability, and a versatile design skill, mean that the resulting design reflects the setting of your personal story, whether it be a Philadelphia loft, a Princeton family home, or a Yardley farm house. Creative Contracting has been a family owned residential remodeling business since 1988. We specialize in guiding our clients through their remodeling projects from initial concepts, through design, selections, renovation and completion. We make dreams come true. Design-Build is a relatively new term describing an innovative approach to remodeling that is gaining popularity in the industry and with customers. Our certified designers work closely with our customers to create a custom tailored design for any project, and then our construction team works to turn dreams into reality! Our system ensures that the customers know exactly what their project will encompass, how it will look, and what it will cost. 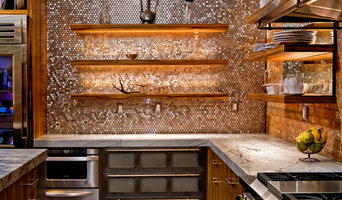 Diamond Kitchen and Bath is a full service showroom and home remodeling design center. In our kitchen showroom areas, we offer a wide selection of all types of cabinetry and an incredible array of styles, from stock to full custom to suit all of your kitchen needs. In our bathroom showroom areas, we have a full array of vanity cabinets and bathroom products to choose from including bathtubs, faucets, shower enclosures, accessories, tile, natural stone, shower doors and cabinet hardware. 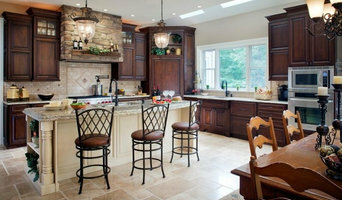 As a multi year award winning company, we have specialized in kitchen & bath remodeling since 1995. All of our work is done by qualified and proud employees, not sub-contractors. After an initial consultation and estimate, you will have a design meeting to select materials and finishes for you project. After scheduling and material orders have been placed you are on your way to a new kitchen or bath! Most bathrooms take 4-6 days to complete and kitchens take 6-10 days to complete. We dedicate all of our resources to complete your project and get your home back to you as soon as possible. This is done not by cutting corners, but by careful planning, a dedicated staff, and excellent suppliers. We are also known as Tinkermens Construction, Inc and have an A+ Rating with the BBB and Angies List.